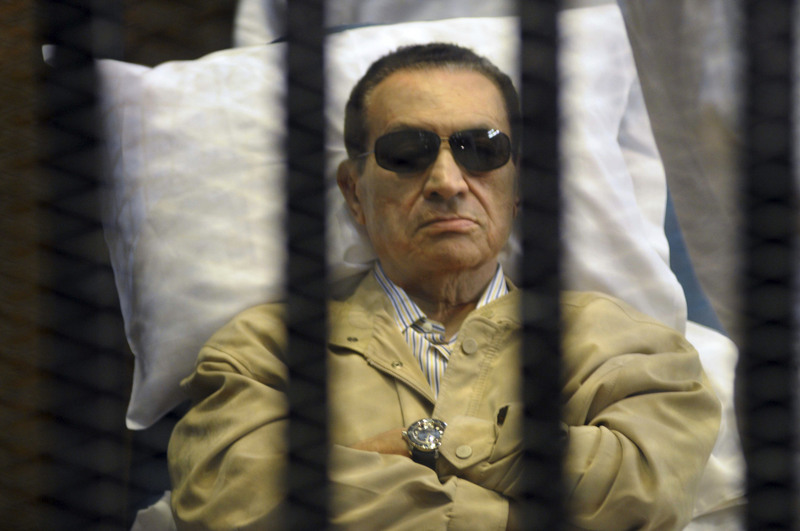 Longtime Egyptian leader Hosni Mubarak -- ousted by an Arab Spring-inspired popular uprising in 2011 -- was acquitted Monday of corruption charges by a Cairo court, and his lawyer told CBS News he expected him to be freed "within 48 hours." Lawyer Fareed El-Deeb confirmed to CBS News producer Alex Ortiz that Mubarak was acquitted on the corruption charges, which stem from allegations that he and his sons embezzled funds for work on presidential palaces. In spite of El-Deeb's prediction, however, it remained unclear whether Mubarak would actually be set free. He is still facing charges that he was complicit in the killing of hundreds of protesters by his security forces during the months of turmoil which led to his ouster. Hagel: U.S. ability to influence outcome in Egypt "limited"
The news of his acquittal comes at a challenging time for Egypt, which is currently governed by an interim administration put in place by the nation's powerful army after a second popular uprising brought an end to the brief reign of Mubarak's democratically-elected successor, Islamist President Mohammed Morsi. Morsi, backed by the powerful Muslim Brotherhood, was elected following the Arab Spring uprising, but he quickly became unpopular by granting senior positions to fellow Islamist politicians, pushing through a constitution which enshrined elements of Islamic Sharia law in the nation's charter, and by the perceived mismanagement of Egypt's economy and institutions. On July 3, after days of massive public demonstrations calling for Morsi to step down, the military intervened and removed him from power. He has been held in captivity at an undisclosed location since the coup, and many of his top aides from the Brotherhood have also been arrested. Egypt is now bitterly divided between Morsi's backers and foes, and almost 1,000 people have been killed in just a week as pro-Morsi protesters defiantly take to the streets to demand his reinstatement, facing off with state security forces trying to enforce a curfew.